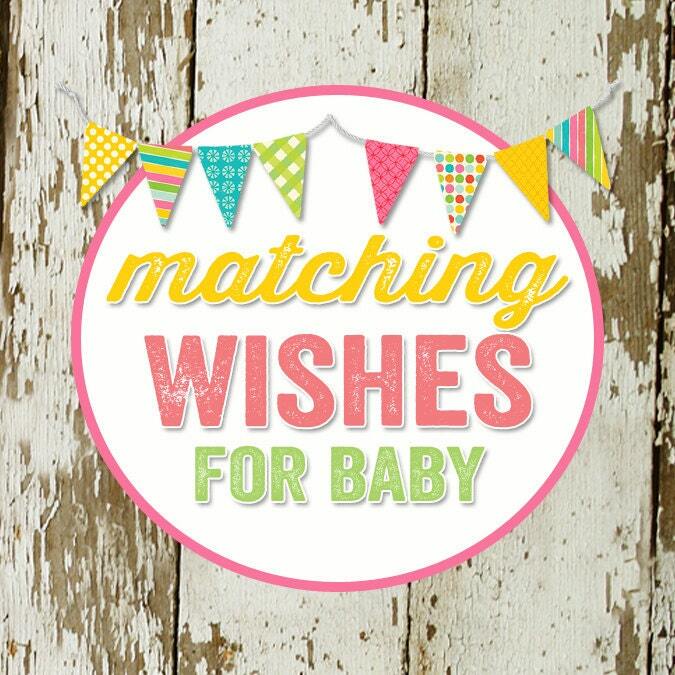 This listing is for the printable file for WISHES FOR BABY CARD to match any invitation in my shop. Personalization on wording. Design is customizable for an extra cost. It is created to match your chosen invite design from my shop only. I may be able to match another invite but for an extra cost. TURN AROUND TIME FOR MATCHING ITEMS IS UP TO 7 DAYS. Usually much quicker. In 'note to seller' let me know the item # of the invite you'd like me to match along with what you'd like it to say if you want something differently than how it is currently worded. 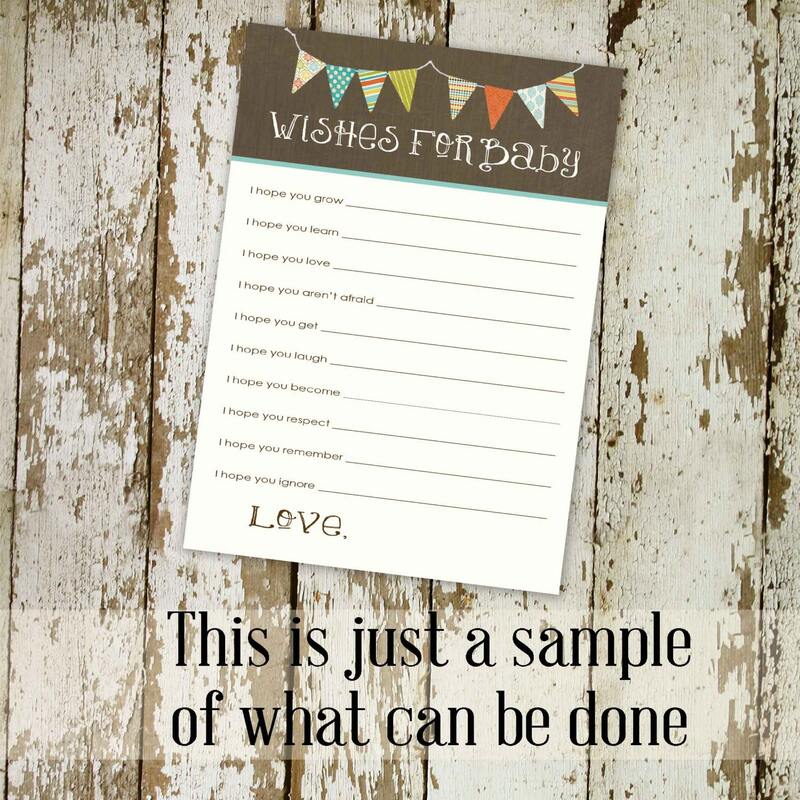 I can make any size but typical size is 5x7 and I can fit 2 on an 8.5x11 page. I can also print for you for .85 cents each.